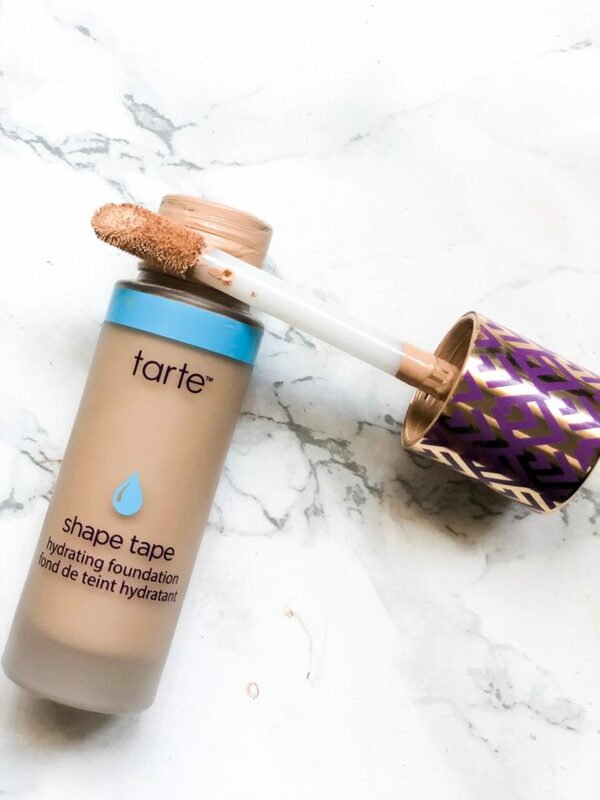 There has been a ton of controversy over the newest foundation from Tarte, the Tarte Shape Tape Foundation. They come in two finishes, the Hydrating and Shape Tape Matte foundations. I will be honest, I am obsessed with the Shape Tape concealer, so the fact that they were coming out with a foundation in the same formula type was the best news ever! Unfortunately, they didn’t come out with nearly enough shades for everyone, which is disappointing from a brand that I enjoy so much. 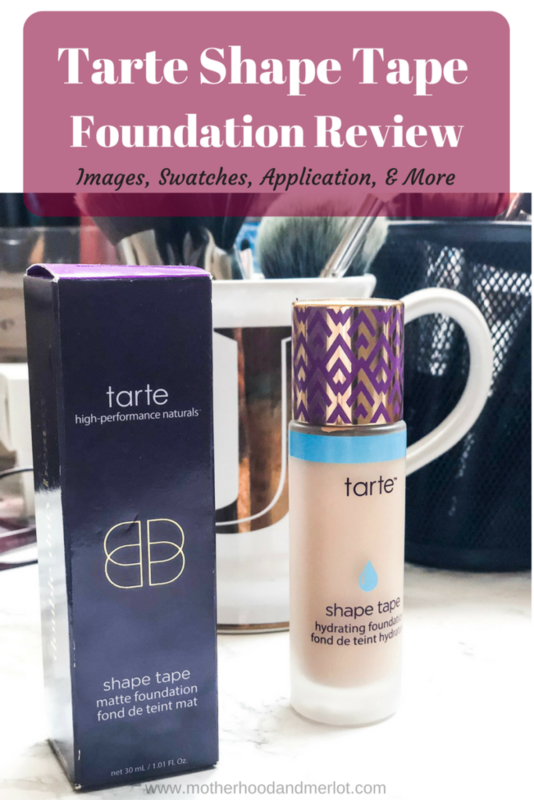 But, I had to do a Tarte Shape Tape Foundation review for you all today. This foundation retails for $39 and can be found at a variety of locations, but always on the Tarte website. There are only 18 shades right now, which is questionable, especially in the darker range. The foundation itself comes with a wand applicator, like the concealer version just slightly bigger. I am not the biggest fan of the applicator itself, but it does the job. As far as coverage goes, the hydrating version of this foundation gives a medium, potentially full coverage if you use a non-translucent powder over top. The finish of it is not super dewy or shiny, but it does give a nice glow to the skin, making it look hydrate without giving it that glossy, oily look some hydrating foundations can give. I have combination skin, with dry patches on the drier areas of my skin. This foundation does not cling to those areas or cake up around the more oily areas of my nose and t-zone either. The lasting power of the hydrating foundation is around 8 hours without budging. The matte foundation seems to build up a little bit better, to more of a medium-full coverage. I found that this does cake up around my drier patches slightly, but the lasting power is slightly better by a few hours, maybe 10-12. It is a very matte foundation, and would be great for people with oily skin. I even combine the two on some days and use the matte foundation in my t-zone area only, and the rest around the dry areas of my face. I got them in slightly different colors, but you can tell here when they are next to one another, it is hardly noticeable. The hydrating is in light neutral (bottom, the matte is in fair-light neutral. You can see a comparison of the two here. Matte on the left and hydrating on the right. I would say that you do have to be careful about the products that you use with the foundation, because I have found certain powders to be cakey and cause the foundation to break up more, especially near the undereye area once concealer is applied. I have only been using it with the Shape Tape concealer, and haven’t tried it with any others yet because that has been my ride or die with any foundation. 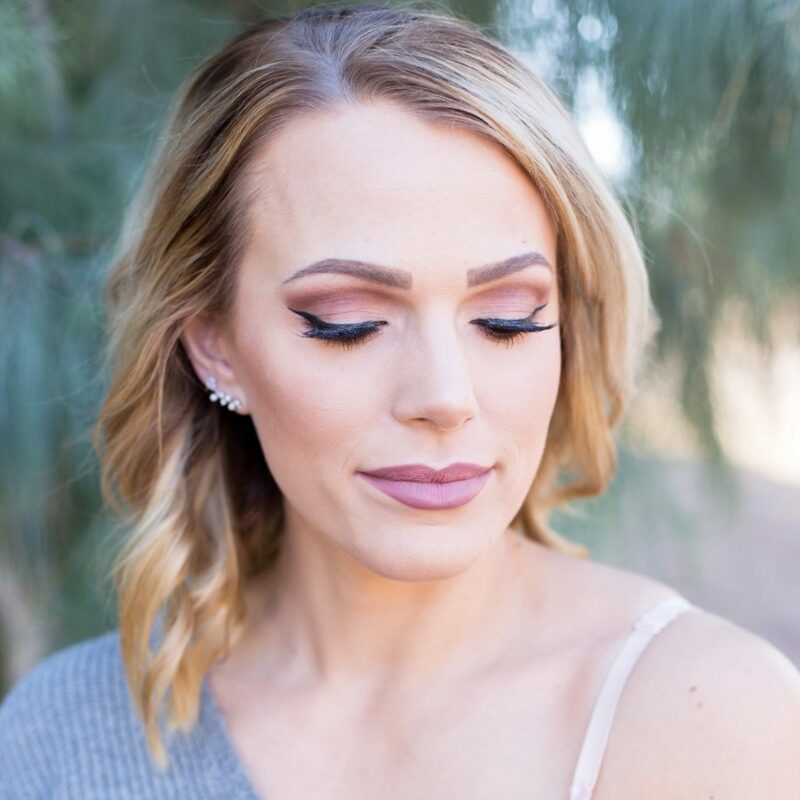 For both foundations, I would recommend applying and blending them in one area at a time because they seem to dry fairly quickly and get a little harder to blend out. 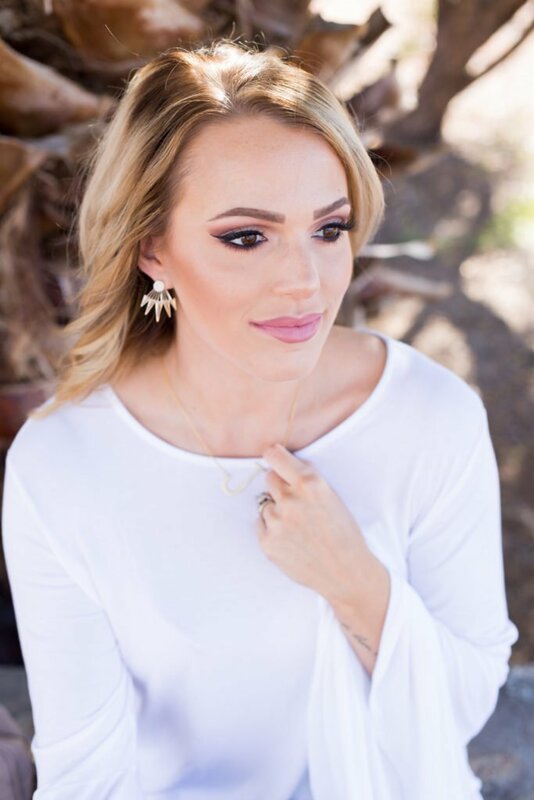 I am wearing the foundation in all of these photos, and it held up really well throughout a photoshoot in the 80 degree Arizona sun. It didn’t break up on me at all or create any kind of flashback. You can see that it lets some of my natural freckles peek through, so it isn’t so full coverage that you don’t see any type of natural skin. Overall, I love the foundation. 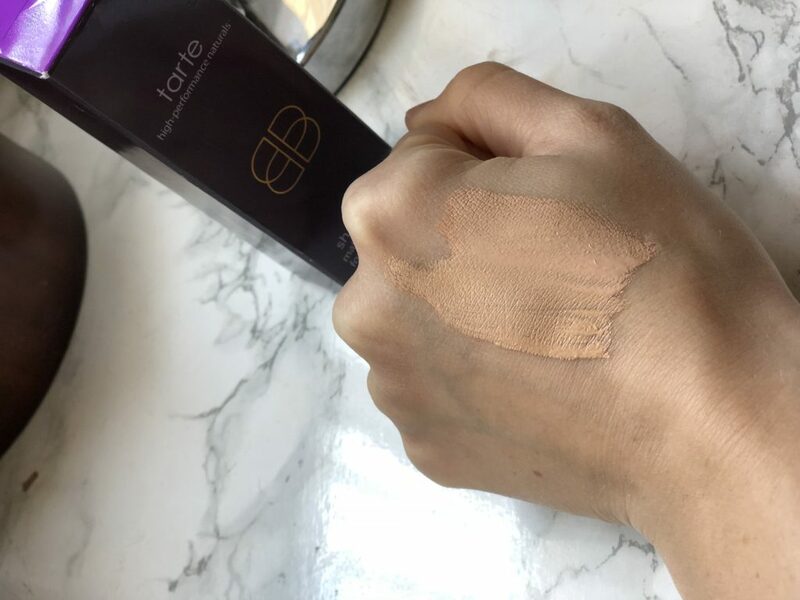 The hydrating version is my favorite for my skin tone, but the matte is really great if you have a shoot or a long day ahead where you need the foundation to last for a really long period of time. I hope that they come out with a lot more shades soon, so that there is something for everyone. 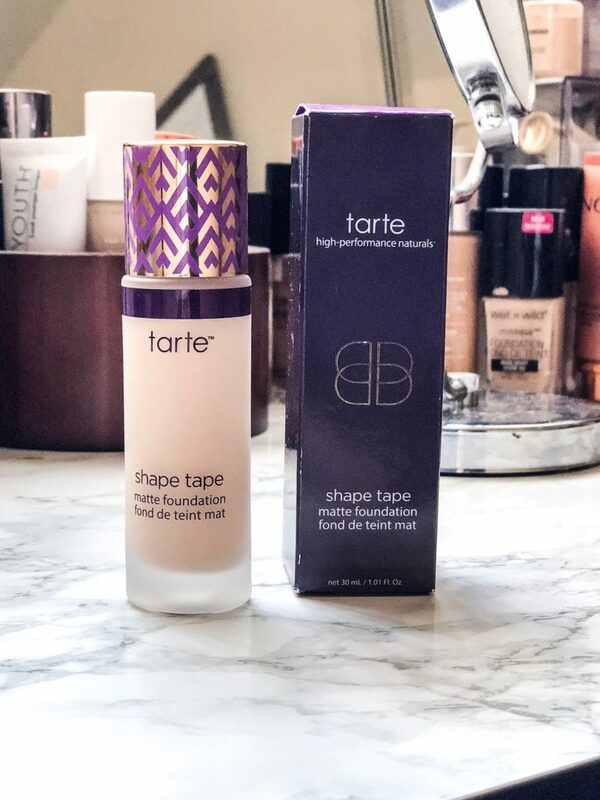 Have you tried the Tarte Shape Tape foundation yet? What are your thoughts on it? Wow! I guess this foundation is the right one for me, I love the texture. And, it looks good on you. You are so beautiful! This product looks amazing! I hate wearing foundation during the summer because I feel like it just melts off my face. That’s awesome that this held up for you! Love how it looks on you! That’s a good idea of combining the two foundations! I have heard great things about this brand, definitely need to look into it. I will admnit I am curious about the shapetape foundation… Being a WOC I was insulted by the launch, even though I am so fair I probably could’ve made it work. They added a few more shades so maybe I’ll try it now. I am so glad that they added more shades! That needed to happen. Good! That needed to happen for sure. What a pretty foundation…it looks great on you!! I love the design of the Tarte foundation. The lid is very pretty. Love this review! I’ve been debating on trying it for long days of wedding!